Negotiations between Vertex and NHS England on a pricing and access deal for the cystic fibrosis (CF) drug Orkambi have stalled once again, with the pharma company hitting out at the payer’s approach. However the truth of who, if anyone, is being unreasonable in the talks is impossible to make out - as the negotiations and the pricing offer on the table remain strictly confidential. 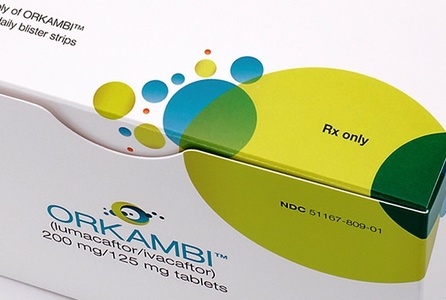 Orkambi (ivacaftor/lumacaftor) targets a mutation that around 50% of people with CF in the UK have, and has been shown to improve lung health and reduce hospitalisations. It gained approval European approval three years ago, but was rejected by the UK’s cost effectiveness watchdog NICE in 2016, and is currently only available on compassionate grounds. Vertex’s list price for Orkambi is around £100,000 a year per patient, although confidential discounts would see this lowered considerably. NHS England has taken on direct negotiation with Vertex to see if a deal could be hammered out, with negotiations going on behind closed doors on price and access. Campaign groups such as the CF Trust have become frustrated at the lack of progress in the talks, and have criticised both sides for not finding a compromise solution. Vertex today released a statement which raised the temperature even higher, accusing NHS England of “outrageous” behaviour and not pursuing a solution strongly enough. The company issued a statement saying: “In the latest meeting, we made the best offer in the world to NHS England, reflecting our ultimate goal to provide access to all of our medicines for all cystic fibrosis (CF) patients as soon as possible. “It includes Kalydeco (ivacaftor), Orkambi (lumacaftor/ivacaftor), tezacaftor/ivacaftor and our future medicines still in development, which we hope may treat as many as 90% of all patients." The company says this offer provides NHS England with ‘budget certainty’ and assurance that patients will have rapid access to advances in medicines in its pipeline which could provide even greater progress – an offer which it says it has already made in other countries. It added: “We find it outrageous that NHS England does not see a path forward to provide access for thousands of children and young people to the only medicines that treat the underlying cause of CF. We find it unconscionable that the Government is unable to value the importance of these CF medicines and provide access. "They are placing a lower value on the life of a CF patient than other countries around the world." Suggesting a breakdown in relations between Vertex and the NHS England negotiating team, the company called for the government to step with its own solution. “We stand ready to meet any time, any place, to ensure patient access to these life-changing and transformative medicines. Patients do not have time to wait and we share their urgency,” it concluded. In response, an NHS England spokesperson referred back to the ruling made by NICE, saying it was an “internationally respected independent body” and it had ruled that Vertex’s pricing was “unsupportable”. Much of the criticism levelled at both sides by the CF Trust is that the confidential nature of the talks mean no-one outside the negotiations can judge how reasonable or unreasonable either side's position is. “If Vertex really believe they are offering a reasonable deal they should waive their confidentiality clause and let patients and taxpayers judge whether it is fair” it said. NHS England adds that it is not alone in being unable to make the drugs available at the prices Vertex are demanding, and cites similar deadlocks in Australia and Canada. Health secretary Jeremy Hunt has been drawn into the row, and has also called on Vertex to make its prices public, while also endorsing moves to explore novel approaches to pricing. 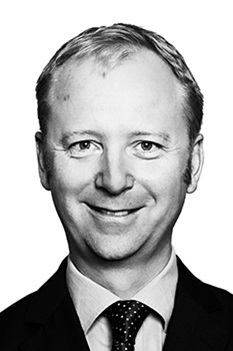 David Ramsden, the Cystic Fibrosis Trust's Chief Executive (pictured below) agrees that transparency is key – including finding out just how far NHS England and the government has been willing to be flexible. However Vertex will be resistant to making its prices public, as the UK is used as a reference pricing market for many other countries, and revealing a lower price here would see international prices automatically lowered. 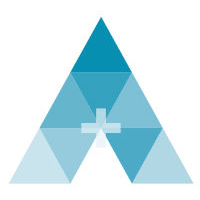 David Ramsden commented today: “We are appalled and deeply frustrated to receive Vertex and NHS England’s statements. “People with cystic fibrosis and their families have fought hard to get these medicines. “After years of being forced to wait, the cystic fibrosis community will simply not accept either party walking away from the table without striking a deal and we will all stand together." He urged the two sides to begin negotiations again to in order to bring about a breakthrough for patients.